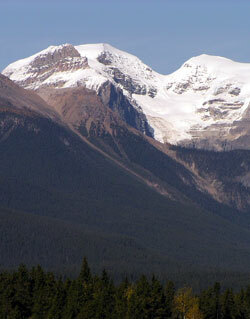 Named for: Edmund Whymper named The President in honour of the CPR's president, Thomas Shaughnessy and The Vice President in honour of its vice-president, David McNicoll. 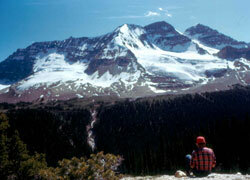 The high peaks of the President Range dominate the view at the head of Emerald Basin, a high valley beyond Emerald Peak and to the north of Emerald Lake. 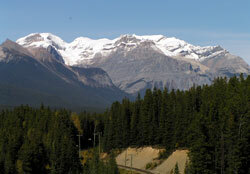 As well, the President and neighbouring The Vice President are the most prominent mountains seen from the Little Yoho Valley. 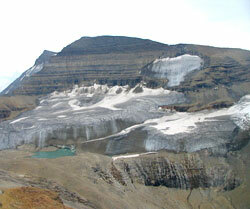 The ice-covered summit of the President is 136 metres higher than the Vice President which is covered by the extensive Emerald Glacier. 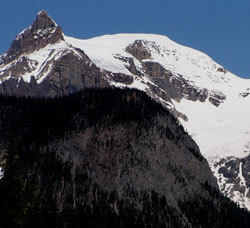 The high col connecting the two is known as President Pass. 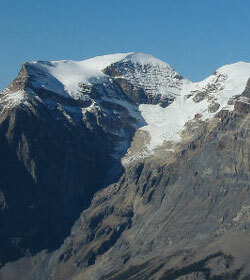 Edward Whymper, of Matterhorn fame, was one of the first to explore the area of Yoho Park to the north of the railway. He travelled to Canada as the guest of the Canadian Pacific Railway and in 1904, perhaps as a thank you, named The President after the railway?s president, Thomas Shaughnessy and The Vice President after its vice-president, David McNicoll. 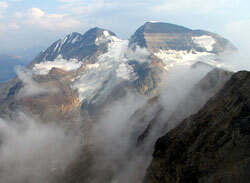 In 1901 James Outram, led by guides Christian Kaufmann and James Pollinger, completed a traverse of the President Range from The President to Michael Peak, completing the first ascents of the President and Vice President. 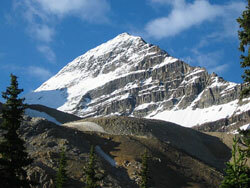 At that time The President was known as Emerald Mountain and Michael Peak as Angle Peak.